Andrew Flanagan, the American businessman who allegedly tricked Australian retail giant Myer into hiring him by using false information on his CV, has been charged with fraud by Victorian police. According to the Sydney Morning Herald, Flanagan appeared in the Melbourne Magistrates Court on Monday for a filing hearing on a charge of obtaining a financial advantage by deception. The charge specifies the alleged deception included “using a resume and providing verbal employment history and references falsely stating he had held a number of senior executive business positions”. 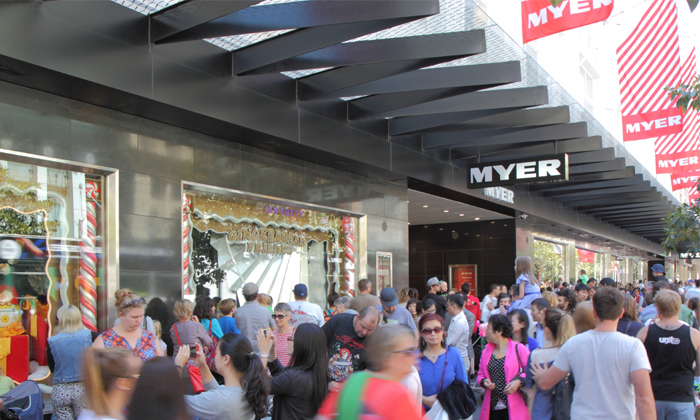 In June, Flanagan was hired by Myer as its group general manager for strategic and business development – a position which the company promoted in press releases, claiming it had snagged the businessman from Spanish retail rival, Zara. But Flanagan’s gig was up when Zara issued a statement claiming he “was not part of and has never been employed by the company”. Further investigation led to Flanagan being fired by Myer on his first day on the job. The recruitment company used for Flanagan’s appointment, Quest International, investigated the claims with Myer, stating they had done the required reference checks. Unfortunately, Flanagan is not the first person to allegedly falsify information on their CV. In 2010, Yahoo’s former CEO Scott Thompson was fired after he was revealed to have lied on his resume. A revered American scientist also revealed – in his obituary, which he penned himself before his death – that he was not, in fact, a PhD, and that he never actually graduated from university. Employers also run the risk of being caught out by hundreds of fake LinkedIn profiles, in which false photographs and are used and fake information is used to connect with people. Flanagan was bailed to appear for a committal mention on October 20. Is stress causing you to drink at work?